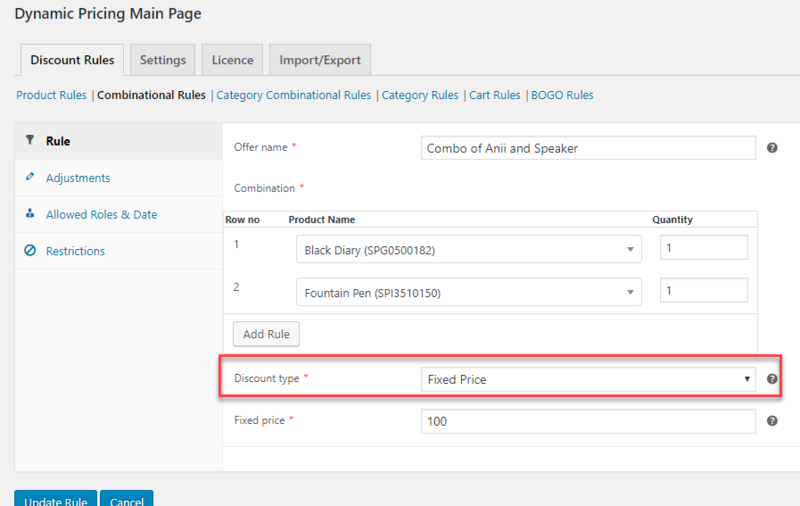 This article is intended to give solution to a business case related to Pricing and Discounts. Every store owner feels the necessity to offer discounts and free products to his customers. <strong>When a customer purchases a Product (for example a Diary), you want to give another product for free (for example a Pen). And with every subsequent purchase of Pen, he would get some discount. A point to be noted is that, the subsequent discounts would be given to the customers only if he purchases the Diary. Thus, for other customers, the regular price would remain the sales price. The price of the Pen is - $139. There can be many reasons as to why you might want to do that. First case can be that, the Diary is a non-selling product, so in order to boost its sale you are trying to persuade your customers by giving discounts on a popular product like the Fountain Pen. Second reason can be that, you want to thank your loyal customers by giving them some special privileges in the form of discounts. Two types of rules are required to be set up. 1. Buy One and Get One Free. In the above screenshot, A Fountain Pen is Given for free with a Diary. 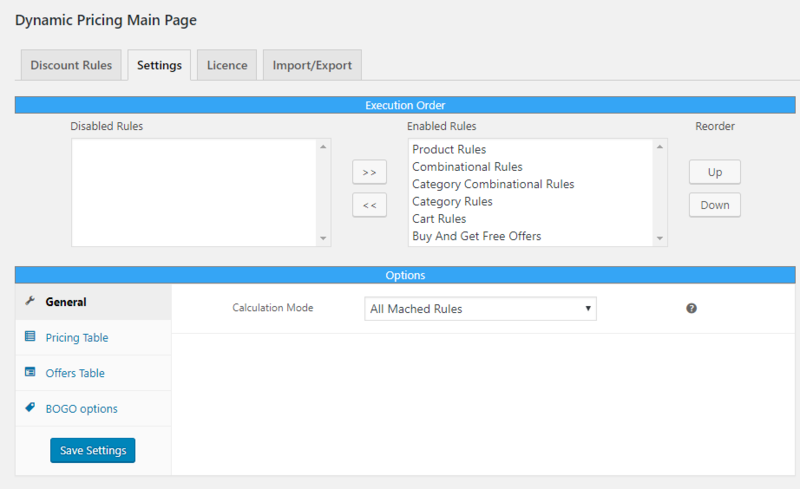 While setting up combinational rule, select the discount type to be “Fixed Price”. 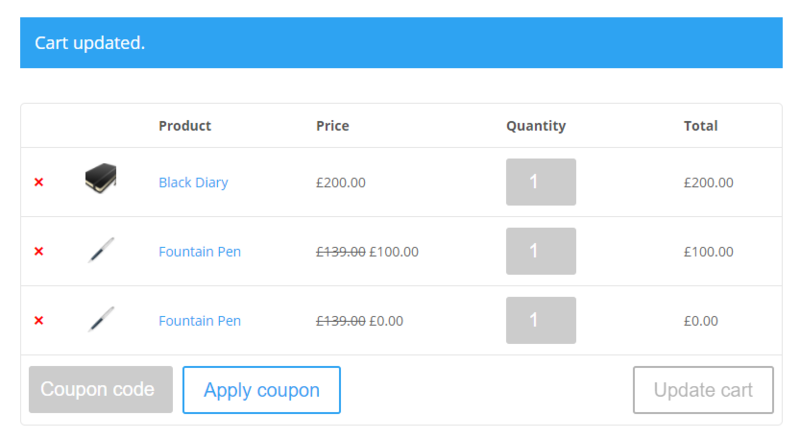 Next, go to “Restriction” and make the “Fixed Price” discount to be applicable only to the “Fountain Pen”. 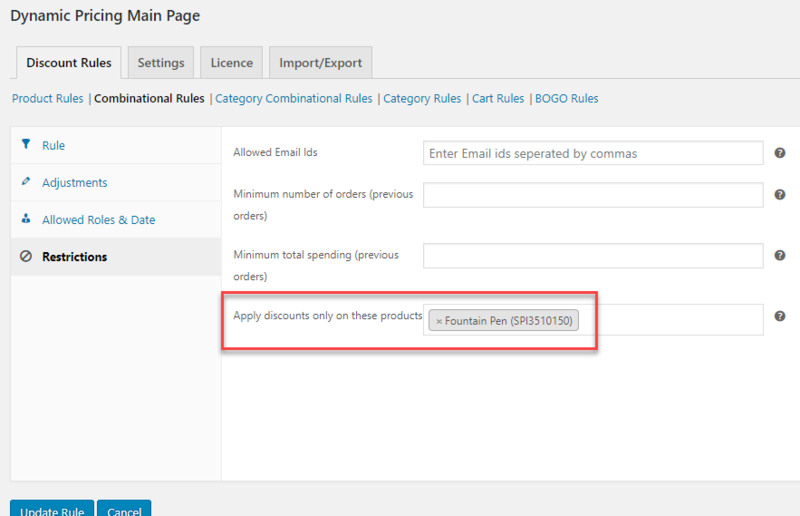 This is one of the newly added feature which would enable you to add a discount on one product when purchased with another product. 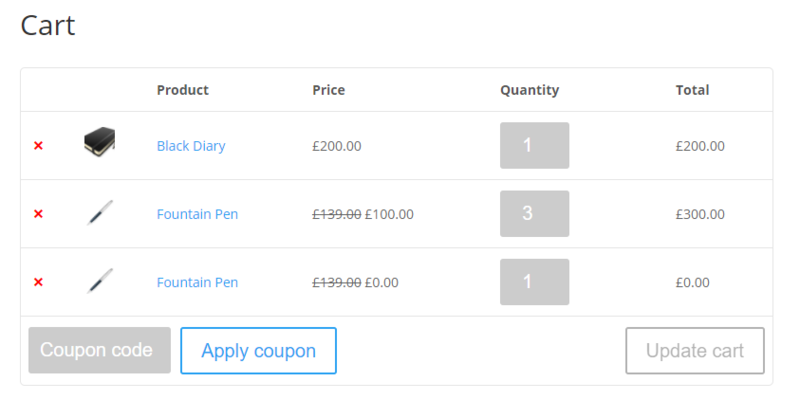 Thus, you can see that for any number of subsequent purchase of pens, the price is fixed at $100 per pen. Let us know in the comment section how this article helped you in setting up your store.